We offer a number of services at our Baldwin Park location, including garment dry cleaning, traditional wash, dry, and fold services, specialty item cleaning (including wedding gowns, fine rugs, vintage restorations, and items made of leather, suede, and fur), and a variety of household item cleaning services. We also offer emergency cleaning services, and tailoring and alteration services. 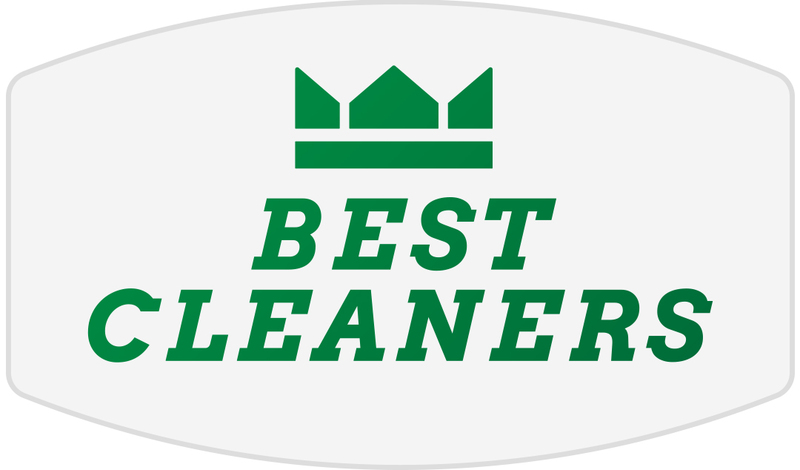 Feel free to read more about our various services, or, if you’re ready to find out why Best Cleaners got its name, feel free to schedule a free pick up and delivery, or drop off your items in person! It’s likely that the best garments in your wardrobe require a bit of extra care, above and beyond tossing those articles into the washing machine. When you have a closet full of clothes whose tags read “Dry Clean Only,” we’re the only dry cleaner you’ll need. We provide eco-friendly dry cleaning solutions for folks throughout Orlando and the Baldwin Park neighborhood, and we can dry clean any item, including business wear, evening wear, sports wear, and your wardrobe accessories. Business Wear: Have a few suits on your hanger? Or perhaps a professional outfit that requires special cleaning care? Regardless of the business wear, we have the right tools and techniques to ensure that your attire looks professional, and feels clean. Again, we use eco-friendly cleaning solutions, so you don’t have to worry about the hazardous chemical cleaners that the other guys would have used. Evening Wear: Does your little black dress need a little love before your next night out on the town? Bring it into Best Cleaners of Baldwin Park to give it a thorough, yet delicate cleaning. We can even take care of stains and split seams if you’ve done some damage to your favorite evening attire! Sportswear: With grass stains, sweat stains, and wear and tear, sportswear often takes a beating. Fortunately, we’re here to keep your sportswear looking its best. We work with all sorts of sportswear materials, from nylon to lycra, providing specialized cleaning that’s perfectly suited for the material at hand. Wardrobe Accessories: Have a tie that got dunked in a bowl of punch? Or a scarf that fell in a puddle? We can clean those items too! Again, we strive to be as delicate as possible as we clean these specialty items, while still providing a deep clean that will leave your accessories looking brand new. Feel free to read more about our garment cleaning and restoration services, and don’t forget, we provide free pick up and delivery services! 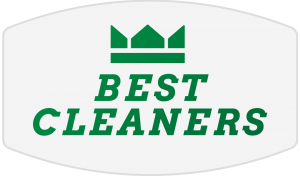 Here at Best Cleaners, we don’t just provide dry cleaning services. We also offer wash, dry, and fold services for your normal garments and items. If you simply need a hand emptying out the hampers in your home, we can pick up your clothes, wash them and dry them, and return them to you folded and ready for the dresser. We offer both recurring and one-time wash, dry, and fold services. Feel free to schedule a free pick up and delivery service. Are your rugs starting to smell like the pets that lay on them? Do you have a stinky leather jacket that really shouldn’t go into the washing machine? We can help. We treat and clean specialty items, including wedding gowns, fine rugs, vintage restoration pieces, and items that are leather, suede, or fur. Wedding Gowns: Your wedding night may be unforgettable, but that stain you got from the cake can be washed away. We know how precious your wedding gown is, and we’ll do our utmost to restore your wedding gown to its former glory. We’ll be sure not to damage your gown’s delicate fabrics, even if we have to remove set-in stains. Fine Rugs: Do you have an heirloom rug that has gathered a bit of dust over the years? Or perhaps you have an area rug that’s endured high-traffic every day since you bought it. Regardless of the rug and its condition, we can clean it. We’ll preserve the fibers of your rug, while gently removing dirt, dust, hair, and odors. Vintage Restorations: Have a vintage pair of jeans that needs a bit of a revival? We can bring your vintage items into the 21st century. Leather, Suede, and Fur: Leather, suede, and fur require extra care when cleaning, since these natural materials can’t be washed with traditional soap and water. We take care to clean your leather, suede, and fur items properly, so that you can continue to wear your favorite articles, year after year. For those large household items around the old abode, you can count on Best Cleaners. We have specialized machines and cleaning processes that make quick work out of even the bulkiest items. We can clean comforters and blankets, shams, drapes, and rugs. Comforters/Blankets: Normally, you probably don’t clean your blankets more than once per week — and you might only clean your comforters once per month. With Best Cleaners, you can have these larger items cleaned as often as you’d like. Keep your guests comfortable, and your bed clean! Shams: Your pillow shams are likely delicate, stitched out of fine materials. If you have pillow shams that could use a delicate, yet deep cleaning, we can ensure that your pillows look their best and smell fresh. Rugs: We tend to mistreat the rugs in our homes. With high foot traffic, pet dander, dust, and the occasional spill, our rugs can end up looking dirty, smelling sour, and covered in stains. We provide rug deep cleaning services to restore your rug to its former glory. Drapes: Drapes collect dust just like your rugs do. If you have drapes scattered throughout your home that haven’t been cleaned in a year, then they’ve likely soaked up dust by the pound. Here at Best Cleaners, we can clean even the largest drapes, so that every stitch of fabric in your home is clean. When accidents happen, we’re here to help clean up the mess. We provide emergency cleaning services for articles that have been damaged in a fire or due to flooding. Fire and smoke damage: Fire can burn some items beyond repair. But in some instances, we may be able to clean and salvage your clothing and other articles. We also provide deep cleaning services to remove smoke stains and the smell of smoke. Water damage: Flooding can leave your clothes and items waterlogged, and eventually, these items can become moldy. While you might think that you’ve lost some of your favorite articles, we may be able to save them. Reach out to us to learn what we can do for your water or fire damaged clothes. On top of our traditional cleaning and dry cleaning services, we also offer alterations and tailoring services. Whether you need to hem a pair of pants, or custom tailor a suit, we can help you out. We have years of experience professionally stitching clothing, and we’d be happy to make you a customized article that fits you like a glove. Find out for yourself why folks count on Best Cleaners for all of their cleaning needs. We’re proud to have provided dry cleaning services for folks throughout the Orlando metro area for the last 30 years, and we’d be ecstatic to earn your business. As we mentioned, we utilize only green, eco-friendly cleaning products and processes for all of our cleanings, including our dry cleaning services. We also care about our community, and show our support through donations to charities like Edgewood Children’s Ranch and Food-4-Kids. Plus, we offer customer rewards throughout the year, including gift certificates for your anniversary, birthday, and your spouse’s birthday. That’s just another way that we go above and beyond to make your experience unbeatable. Ready to get started? Schedule a free pick up and delivery, or stop by our Baldwin Park shop.